The name move not only refers to the English word move, it is also an acronym describing the excellent properties of the red high-performance timing belts from BRECO. maximum performance, optimised tooth shape, versatile application efficient. Exactly two years ago, Mulco first presented BRECOFLEXmove AT10 at the Hanover Fair 2015. Due to high demand from customers for an open length version of this timing belt type, BRECOmove AT10 will be presented at the Hanover Fair 2017. BRECO developed a thicker tension member with approximately 30 % higher strength and excellent flexibility for the high-performance timing belts of the „move“ family. This increased the tear strength and the admissible tensile forces. Greater tensile forces transmitted by the tension member lead to higher stress in the root of the tooth and higher surface pressure on the tooth flank. With the aid of finite element topology optimization, BRECO was able to develop a new tooth geometry that ensures more uniform distribution of the load acting on the teeth. At the same time, the development engineers changed the tooth geometry so ingeniously that the „move“ timing belt still fits existing AT profile pulleys. With almost 70 % higher tensile stiffness in comparison to the previous version, BRECOmove AT10 offers minimum settling times (diagram) in linear axes for cycle operation and positioning. Depending on the drive, this permits steeper starting and stopping ramps. 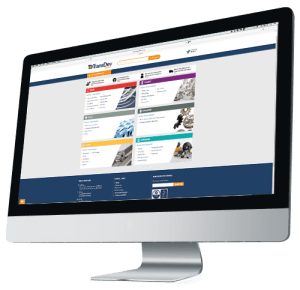 The reduced cycle times allow the machine manufacturers to increase the productivity of their linear axes and entire machines. The exceptionally high transmitted tensile forces of BRECOmove make it very interesting as a traction mechanism in vertical axes. It has not been possible before to demonstrate the necessary safety of timing belts with this pitch; this is now possible with BRECOmove. 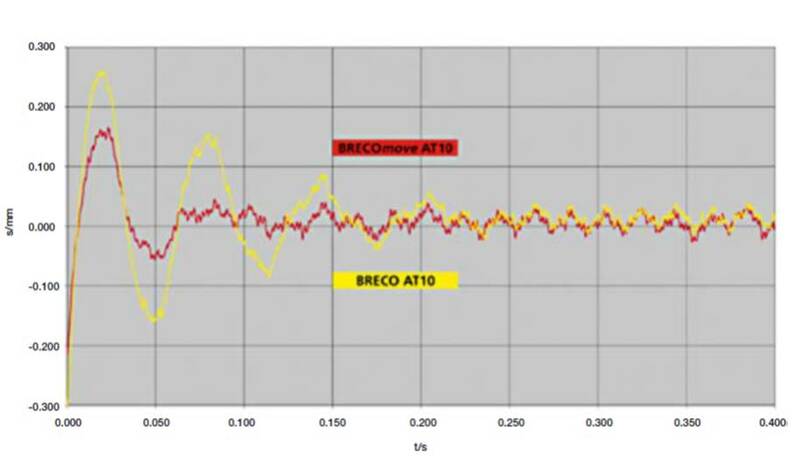 With BRECOmove, AT10 belt drives can be now be designed approximately 30 % narrower. The narrower pulleys not only require a smaller installation space, they are also cheaper. 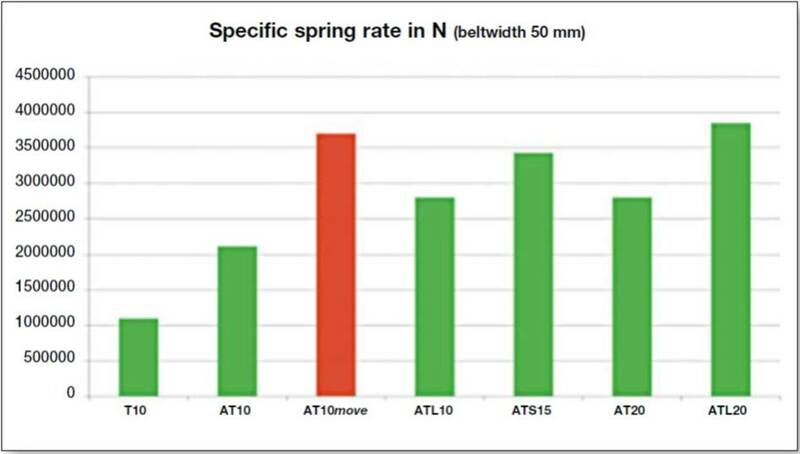 BRECOFLEXmove AT10 polyurethane timing belts are offered in the widths 25 to 100 mm and lengths of 1.400 to 30.500 mm. A wear-resistant polyethylene laminate protects the tooth flank of the BRECOFLEXmove timing belt. In conjunction with the optimised tooth shape, the new high-performance timing belt generates 25 % less friction.